The important point in considering the mastoidect-omy for placement of a cochlear implant is that this is much smaller than that utilized for chronic ear disease. In contrast to the standard method of saucerizing the mastoid cavity, this is not performed in cochlear implant surgery. There are two areas that need to be skeletonized, and the single most important one of these is the bony external auditory canal. 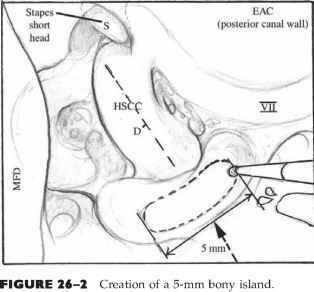 If the bony external auditory canal is not thinned appropriately, then the angle through the facial recess and the size of the posterior aspect of the mastoidectomy become much more difficult and much larger, respectively. It is important to skeletonize the bony external auditory canal, but not to violate the integrity of this structure. Should this occur, the greatest postoperative risk is that of the electrode array extruding through the skin of the external auditory canal. Consequently, it is necessary to reinforce this area with either a graft composed of thick AlloDerm (LifeCell Corp., Branchburg, NJ) or a bone graft harvested from the cortex of the skull. The second area that needs to be skeletonized is that of the tegmen mastoideum. 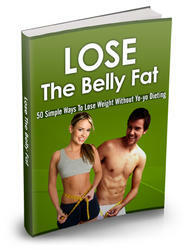 This allows greater ease in completing the facial recess and developing the cochleostomy. An additional advantage is that of providing better exposure and consequently better light delivery, which results in better visualization within the facial recess and middle ear. It is also important to continue this action forward into the zygomatic root for the same reasons (Fig. 28-4). In contrast, the posterior as well as inferior aspects of the mastoidectomy are not saucerized. It is also important to create bony overhangs in these inferior and posterior aspects of the mastoidectomy cavity that are helpful in retaining the electrode array, which is ultimately coiled into the mastoid. These differences in the mastoidectomy technique also facilitate performance of cochlear implantation in very young children (6 to 12 months of age). For those individuals who have undergone a canal-wall-down mastoidectomy procedure in the past and require cochlear implantation to rehabilitate their hearing loss, a two-stage procedure is required. First, mastoid obliteration with removal of all epithelium, oversewing the external auditory canal, and filling the resulting dead space with abdominal fat is performed. Three to 6 months later, cochlear implantation can be undertaken. If no active disease is present, a one-stage procedure may be considered; however, this is not recommended due to the risk of bacterial contamination. FIGURE 28-4 The mastoidectomy necessary for placement of a cochlear implant is limited, relative to that required to treat chronic ear disease. 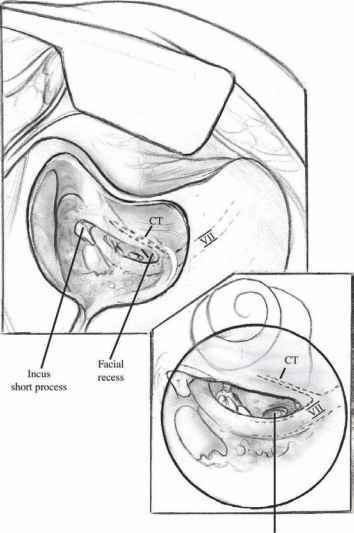 Skele-tonization of the external auditory canal is important to facilitate access via the facial recess approach (posterior tympanotomy). Overhanging bone is created posteriorly and inferiorly to facilitate retention of the coiled electrode placed within the mastoid at the conclusion of the procedure. Skele-tonization of the tegmen mastoideum and dissection into the zygomatic root facilitates light delivery into the mastoid and subsequently into the middle ear via the facial recess. CT, chordae tympani nerve. vertical segment of the facial nerve is skeletonized, and a 1.5-mm diamond bur with a long shaft is helpful during this portion of the dissection. 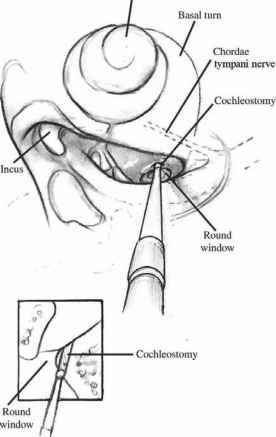 The dissection is carried inferiorly to the level of the chorda tympani nerve, and in some of the patients undergoing cochlear implantation surgery the chorda tympani nerve is divided to provide adequate access and visualization of the round window niche. Preoperative counseling of the patient or the parents is necessary so that they understand the consequences of dividing the chorda tympani nerve. The lateral limit of the facial recess is the tympanic annulus, and for the majority of patients this should be partially skeletonized to maximize the size of the facial recess. Although it is possible to create a small facial recess, most experienced cochlear implant surgeons do not do this and prefer widely opening the facial recess. This provides much better visualization of the round window niche and delivers additional light via the microscope into the middle ear. These factors facilitate completion of the cochleostomy and insertion of the electrode array. The tympanic annulus can be well visualized, with exposure of the promontory and epithelium of the middle ear also readily apparent. During the facial recess dissection, violation of the tympanic annulus and tympanic membrane results in contamination and direct communication with the external auditory canal. This raises the possibility of postoperative infection and cholesteatoma formation. There are two options if this occurs, and one is to repair this area and stage the cochlear implantation. The other is to repair this area with a medial graft, which could be composed of temporalis fascia or thin AlloDerm. This is then supported with Gelfoam and/or muscle grafts. Should this be necessary, an important point is that the incus should be disarticulated and removed. This provides better access to the annulus and tympanic membrane for adequate apposition of the reconstructed material to the native tissue from the tympanic cavity side, and obviates the need for external auditory canal skin incisions and development of a tympano-meatal flap. FIGURE 28-5 Cochleostomy position relative to the round window niche. It is important to visualize the bony overhang of the round window niche before beginning the cochleostomy. Removal of this overhang and subsequent exposure and visualization of round window membrane ensures that the cochleostomy is positioned with the midpoint centered on the lower margin of the round window, and located anterior in position to the round window membrane. 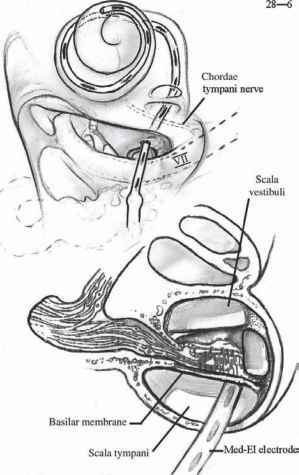 FIGURE 28-6 Electrode insertion through the cochleostomy follows the scala tympani. vious result is an incomplete electrode insertion and ultimately no activation of the primary afferent neurons in the spiral ganglion. Another important anatomic landmark to keep in mind when experiencing difficulty in identifying the scala tympani is the position of the intratemporal internal carotid artery. With anterior dissection, when the scala tympani has not been adequately identified, the posterior aspect of the intratemporal carotid artery can be exposed, and this is an especially important consideration when performing cochlear implant surgery in children between the ages of 6 and 12 months. A high index of suspicion must be maintained during the surgical dissection, if the round window membrane and round window niche are not visualized at the beginning of the creation of the cochleostomy. This also underscores the importance of identifying this key landmark before beginning the cochleostomy. Those factors that help in the visualization of the round window niche include a wide facial recess and skeletonization of the bony external auditory canal. Once the round window niche has been visualized, the use of a 0.6-mm diamond bur with a long shaft allows dissection of the niche until the round window membrane is directly seen. It is important to position the cochleostomy anterior to the round window membrane, as utilizing this position facilitates the angle of insertion of the electrode array. Should the round window be opened and the electrode array inserted through the round window, the angle of insertion is too acute and results in excessive pressure on the electrode array against the lateral wall of the cochlea during the attempted advancement of the electrode array. This excessive force applied to the electrode array can result in damage. mm, and the diameter at the basal portion of the array is 0.8 mm. In the past, the largest cochleostomy size was associated with the Clarion devices. For the old HiFocus I electrode array, a round cochleostomy was prepared and this measured 2.5 mm in diameter. In contrast, the present HiFocus electrode utilizes a round cochleostomy, 1.5 mm in diameter, when the metal insertion tube is used; however, a 2-mm cochleostomy is necessary when the Teflon insertion tube is used. The electrode array itself has a diameter at the tip of 0.6 mm and the diameter at the basal contact is 0.8 mm. With all three devices, once the cochleostomy has been created it is important to irrigate the scala tympani via the cochleostomy to remove air bubbles and to wash bone debris from the scala tympani. This bone debris, if left in place, will induce ossification at this site, and it is important to minimize this because of the potential need for reimplantation in the future should a device fail. This is particularly important in young children being implanted between the ages of 6 and 12 months, as there is a higher likelihood that they will encounter a device failure at some point during their entire life span than an adult patient receiving a cochlea implant. Lactated Ringer's solution with a 5-cc syringe and a 24-gauge suction tip is ideal for the irrigation and refilling of the scala tympani. What is the procedure for inferior cochleostomy? How to code a cochlear implant with temporalis fascia graft? How is a A cochleostomy procedure performed?